Nuuka has signed a new agreement with a big Swedish supermarket chain to install their technology in a further +50 buildings. It was announced in January that ICA Real Estate would use Nuuka’s software in pilot-projects to monitor, analyze and improve the efficiency of a few of their assets https://www.icafastigheter.se/nyheter/digital-innovation/ .The ultimate goal of the co-operation was to evaluate how ICA Real Estate could maintain their properties even more efficiently and sustainable. ICA Real Estate wants to create the best shopping experience for their customers and at the same time provide a great workplace for their employees through digitalization. The trial period of Nuuka’s Connect and Create software was a success and now ICA Real Estate has decided to roll it out to 54 more sites in Sweden. This news follows shortly after the recent contract signing with the City of Helsinki to install Nuuka in 1000 of their buildings only two weeks ago. “We were very happy that ICA Real Estate selected us as a partner in this project and now even happier that they have decided to roll-out Nuuka even further to 54 of their buildings. The pilot project phase was effective and now we scale-up our delivery. It has been a pleasure to work with the team at ICA Real Estate so far and I look forward to delivering more value for them through Nuuka as this relationship progresses further." “To see a significant and well-recognized real estate owner like ICA Real Estate roll-out Nuuka to more of their buildings is great news for the company. Nuuka started the relationship with ICA Real Estate by running pilot projects to prove they could be effective in delivering what ICA Real Estate needed and this roll-out is proof that Nuuka can deliver. ICA Real Estate is a leading retailer, owning over 170 major commercial properties in the Nordics. The market value of wholly-owned Swedish properties has been recently assessed at SEK 12.2 billion. By utilizing Nuuka’s software the user can analyze and optimize their total energy usage, including their own-produced energy from its geothermal heat and cooling plants. At the same time, the air ventilation units are optimized in a way that indoor air quality is improved. The HVAC process data from the building automation system might also be used in machine learning models to further automate and optimize the processes in the future. In addition, when all data is collected in one platform, the possibilities for innovation and new business opportunities appears. 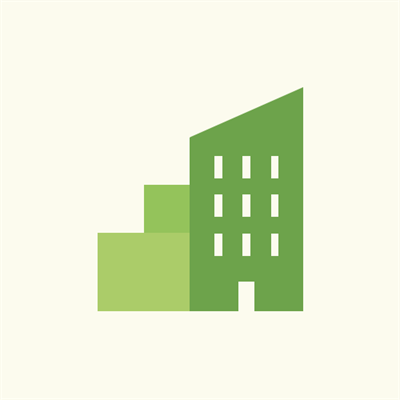 We were very happy that ICA Real Estate selected us as a partner in this project and now even happier that they have decided to roll-out Nuuka even further to 54 of their buildings. The pilot project phase was effective and now we scale-up our delivery. It has been a pleasure to work with the team at ICA Real Estate so far and I look forward to delivering more value for them through Nuuka as this relationship progresses further. To see a significant and well-recognized real estate owner like ICA Real Estate roll-out Nuuka to more of their buildings is great news for the company. Nuuka started the relationship with ICA Real Estate by running pilot projects to prove they could be effective in delivering what ICA Real Estate needed and this roll-out is proof that Nuuka can deliver. Congratulations to the Nuuka team on this great work and also ICA Real Estate for continuing to be a leader in the digitalization of real estate.